As Russians surge toward wine market gains Vinitaly Russia says nazdaróvye! Wine fever is about to hit Russia as Vinitaly International and Veronafiere launch the 15th edition of Vinitaly Russia on November 19th in Moscow followed by a second stop in Saint Petersburg on November 20th. Exploiting Russia’s steady market recovery, Vinitaly Russia 2018 has prepared a line-up of events featuring iconic wines representatives of every Italian region as well as new educational initiatives including a masterclass offered by the Vinitaly International Academy among others. Well before the Russian Revolution took root, Russia was famed for “Service à la Russe,” a lavish array of sequentially served dishes and fine wines or Champagne. After the iron curtain fell, recovery of the wine industry was steady, but in 2013 and 2014, due to political and economic sanctions, a financial crisis changed consumer habits, which, in turn, changed the ways importers and distributors operated. Fast forward to 2018, the wine market is on the road to a full recovery, according to the “Russia Landscapes 2018” report in Wine Intelligence. Things have changed dramatically. Sparkling wines and Rosés are in and interests in wine is still there with younger generations being keener than ever, more open-minded, and ready to put wine on center-stage. Taking advantage of the momentum, producers and industry players are striking while the iron is hot. 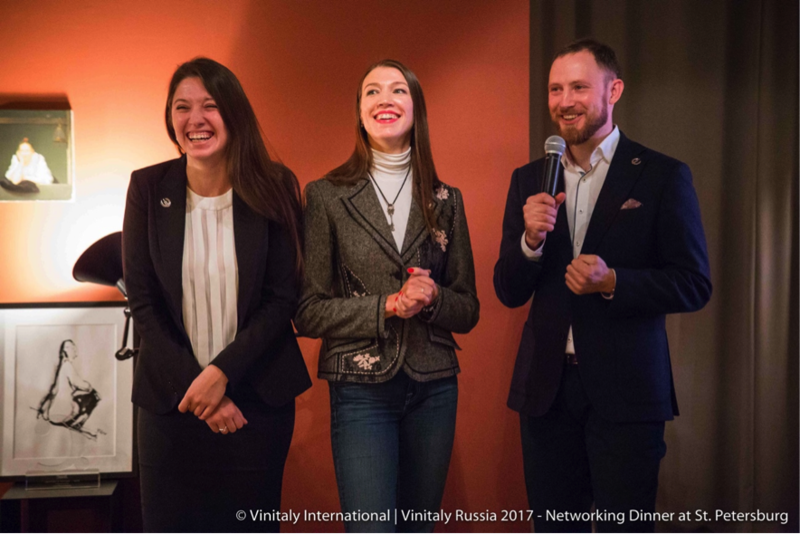 Having weathered the changes, Vinitaly International’s upcoming Vinitaly Russia 2018—at its 15th edition—is trailblazing with a steady increase in participation on both Russian and Italian fronts and a rich program of tastings, B2B meetings, and educational events. The first stop of the Vinitaly Russia’s tour is in the Russian capital, Moscow. Vinitaly Russia Moscow will take place at the luxurious Lotte Hotel, in the heart of Moscow. 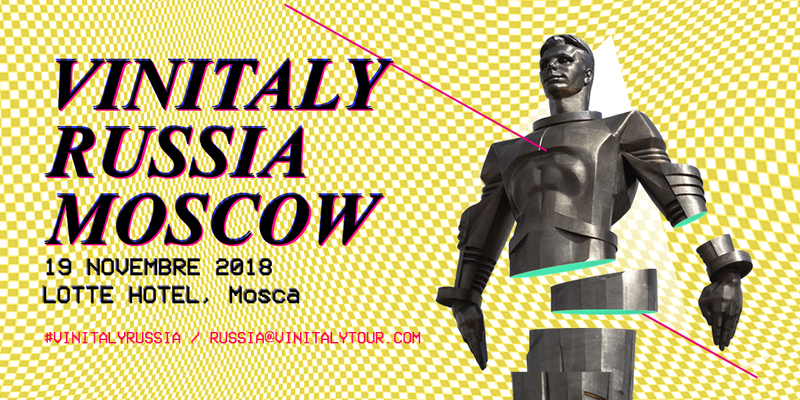 The event, scheduled to begin on November 19th, features a round table discussion for Italian producers dedicated to issues concerning wine education in Russia and a B2B Walk Around Tasting that is open to a select public including wine market professionals, press, distributors, and tradespeople. The event is relevant to today’s market as it offers a tangible starting point for producers and sector professionals to take their wine business to the next level. There have been some difficult moments for Italian wine in the Russian market in the past. However, more recently there has been an increasing interest and steady growth. With regards to Vinitaly International, this year we have doubled in size for our Vinitaly Russia events. I read this increase as a clear sign that the Russian market for Italian wine is picking up again. Data shows that, with an overall 523.2% sales growth in the last decade, Italian wines are leaders in the Russian wine market with a 28.8% market share. The Moscow event this year will feature 43 Italian wineries and 18 Russian importers for a total of 61 operators. In comparison with 37 operators attending the 2017 edition, numbers have significantly improved for 2018. Vinitaly understands the importance of fostering growth in the wine market in more ways than just offering B2B or B2C. Some judges from the 5StarWines international wine selection come from Russia and many Russian operators are also invited to OperaWine, Vinitaly’s opening gala with Italian wines chosen by the Wine Spectator magazine. During the April fair, we also ensure that Russian buyers participate in the Vinitaly Incoming Program sponsored by the ICE-Italian Trade Agency. We make many of these contacts during Vinitaly Russia in Moscow and St. Petersburg. Vinitaly Russia, therefore, is not just a day, but part of a wider program of promotion and training for Italian wine that lasts all year round. Photograph: a moment during the Vinitaly Russia 2017 Networking Dinner in Saint Petersburg. On the right VIA Italian Wine Ambassador Nikolay Chashchinov, who, this year, will lead the tasting seminar “5StarWines: a new era for wine evaluation” in Moscow. 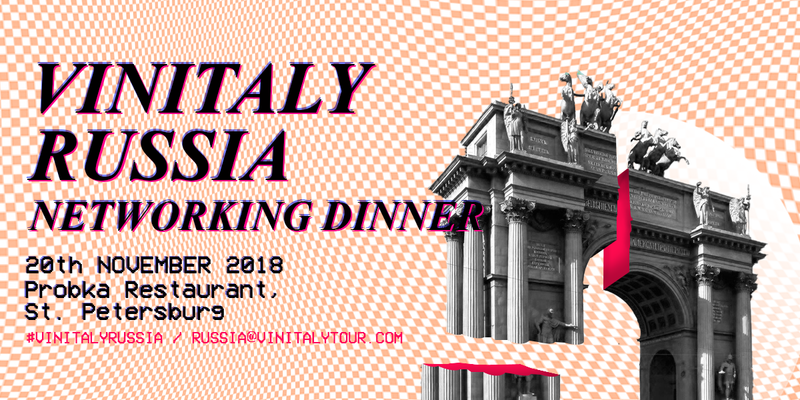 The second stop in the Russian wine fair for Italian wine will take place in St. Petersburg on November 20th with the Vinitaly Russia Networking Dinner, and will begin at 7:00 p.m at the restaurant Probka on Dobrolyubova. This event is an exclusive B2B networking dinner, that brings together Italian wine producers with the local Russian wine trade representatives. The attending Russian importers and tradespeople will taste more than 20 different types of Italian wine from every region in Italy. The dinner will also feature food and wine pairings. This is a great time for Russians to experience Italian culture since the Italian government is also promoting its internationally renowned cuisine through the iniative dubbed “World Week of Italian Cuisine” running from November 19th to 25th. The success of Italian wine in the Russian market over the past year or two is not going unnoticed. The 15th edition of Vinitaly Russia has drawn some major sponsors to support its initiatives such as San Pellegrino, OlivaItalia, Integrita, The Russian Kavist Association and Riedel. OlivaItalia and Integrita will be offering foods from their product lines during the Russian stops and San Pellegrino will be providing water for the tastings. Also collaborating with Vinitaly Russia is the Italian governement with the Italian Trade Agency-ICE and the Italian Embassy. To learn more about the events about to take place in Moscow and Saint Petersburg, please follow us on social media and consult our website.